Tom and Mary Kempen’s road to being woodland owners was a winding one. The Kempens built a home in Ashwaubenon in 1979, and Tom had a hankering to heat it with wood. He started looking for a piece of woodlands, so they could have a sustainable source of wood for their wood stove. In his search, he and Mary found a 55 acre piece of land up for auction, put in a bid on the wooded 25 acre portion, and won. These 25 acres on Pleasantview Road became Tom and Mary’s Pleasant Acres, which they still own today in Brown County. Once they had Pleasant Acres, the research on tax breaks for woodland owners began, which led them to WWOA, because WWOA had a lot of the information they were looking for. 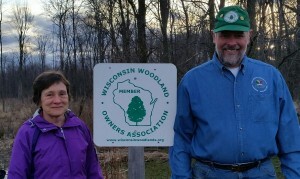 By the early 1980’s Tom and Mary had joined WWOA, they enrolled in the Managed Forest Law (MFL) tax program in 1985, and had the first thinning of their woods in the summer of 1998. Following the thinning, on November 1, 1998 Pleasant Acres was victim to a blowdown, felling 23 large pines and maples. 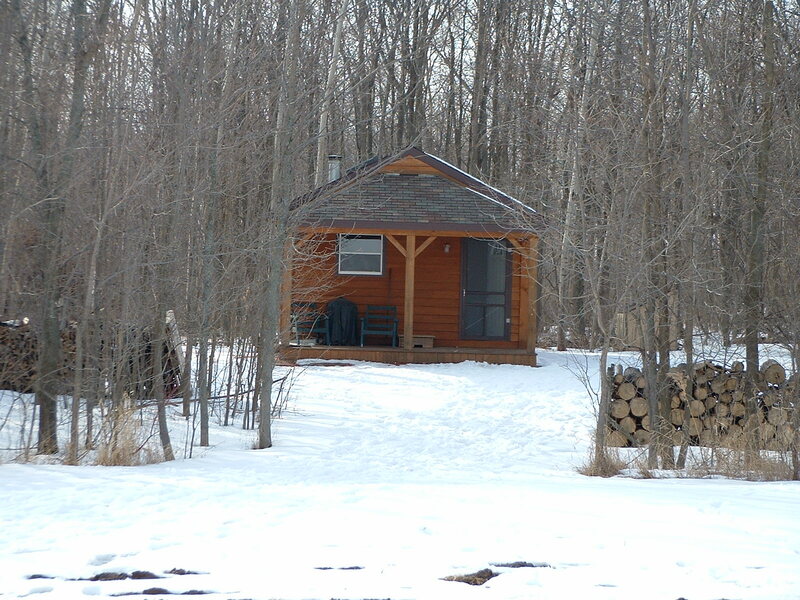 Tom and Mary made the best of it, and had the logs milled into tongue and groove boards, and with them built a 16×26 foot cabin on the edge of the woodlands. The cabin was useful since, at the time, they did not live at the woods, and the cabin let them stay there if they wanted to. 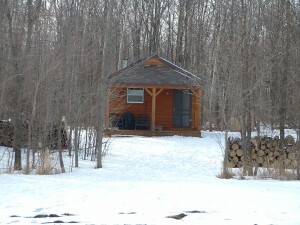 The cabin has no electricity, and was heated by a wood stove. 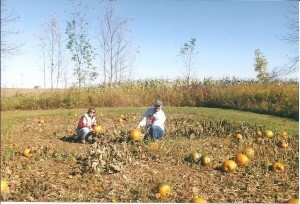 In 2005, the farmer who had won the farmland portion of the land in the 1979 auction approached Tom and Mary about purchasing the farmland adjacent to Pleasant Acres. They took him up on his offer, built a house on their new land, and have now lived in their home atPleasant Acres for ten years. One of the Kempens’ favorite pastimes of the woods is being able to open it to others. They’ve hosted multiple family reunions, and enjoy hosting annual fall festivals. 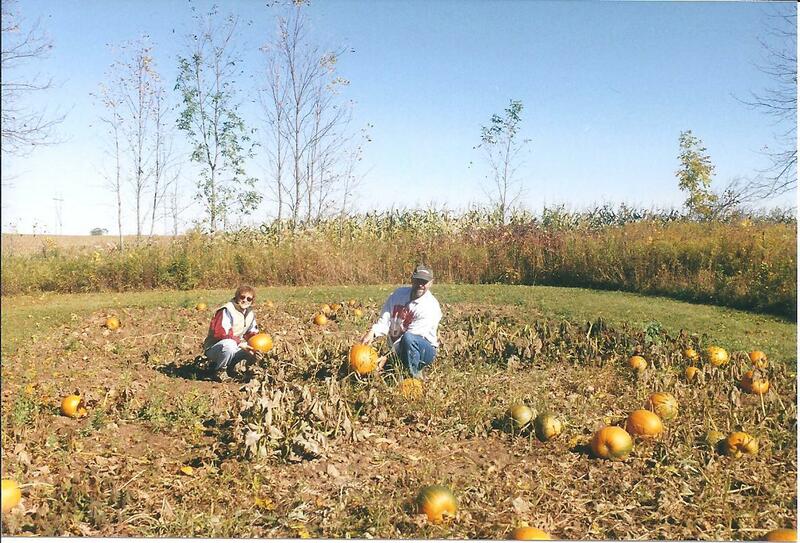 The Kempens grow pumpkins at the edge of their woodlands nearby their cabin each year, and once they’re grown, friends and family are invited out to pick a pumpkin, have some food, and enjoy the woods. There’s a swamp white oak in one corner of Pleasant Acres that’s used as a landmark by everyone wandering the woods. Tom says he can see the tree’s crown in aerial photos dating back to the 1930’s, and that the tree must be around 100 years old. Tom and Mary also enjoy taking advantage of other opportunities Pleasant Acres allows them, including taking a walk through the woods almost every morning, hunting, growing their own Christmas trees, growing quality timber, and wildlife viewing. One of their more unique wildlife encounters was Gus, an overly friendly ruffed grouse. Gus the grouse was around for about 5 years, and would perch on people, projects being worked on, and even on the end of Tom’s gun while he was hunting. Both Tom and Mary agreed that although entertaining and unique, Gus was almost friendly to the point of being annoying. 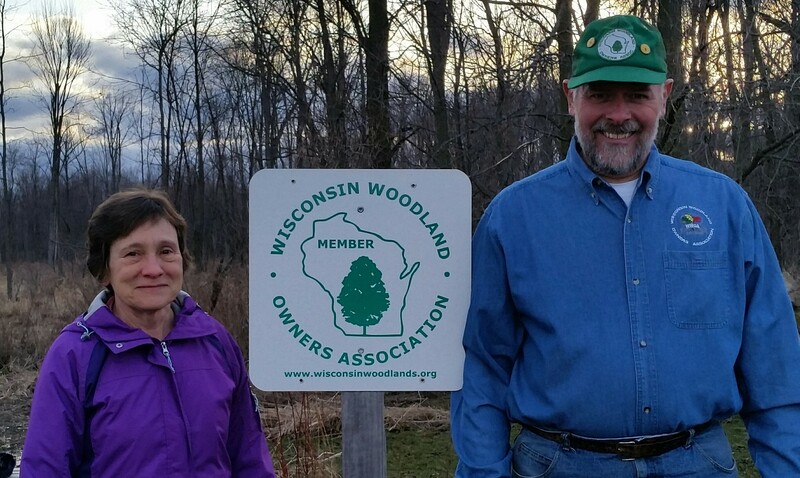 WWOA has been an integral part in helping Tom and Mary learn woodland management, how to appreciate their woods, and grow quality timber. Through WWOA they’ve met great people, met the professionals who have helped them on Pleasant Acres, and they believe that WWOA is a good organization that represents its members well. Tom and Mary appreciate what they’ve learned through WWOA and give back to WWOA to help others learn too. New members can get involved volunteering with chapters, committees, and even in the WWOA office. Volunteering is flexible and fun and there are options for everyone’s skills and schedules, so don’t hesitate to contact your local chapter, a committee, or call the office for ways to become a volunteer. WWOA’s Volunteer Coordinator is available to help you find the best fit for your goals as a volunteer.